You are here: Home / 2018 Chinese New Year / When is Chinese New Year 2018? Update news about Upcoming Chinese drama. Chinese New Year falls on the same month as Valentine’s Day, Shrove Tuesday and the beginning of Lent. 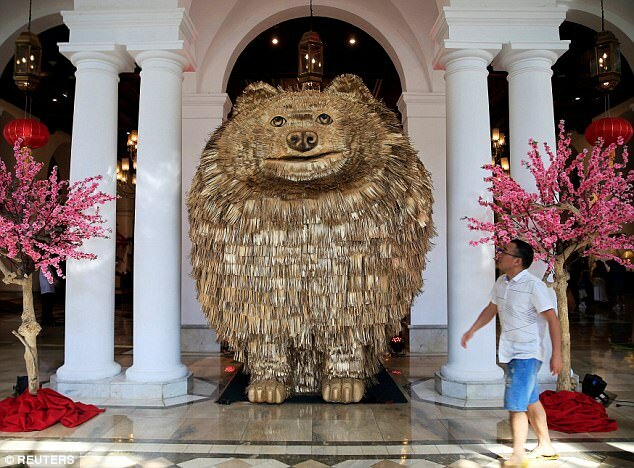 Also known as the Lunar New Year or the Spring Festival, Chinese New Year is a time to pray to the gods for good harvests and to scare off mythical beasts. Here is all the information on the Chinese New Year 2018, including when it is, which animal it is and why. The first day of the New Year can normally fall on a new full moon between January 21 and February 20. The Chinese New Year of the Rooster began on January 28, 2017. The Chinese New Year festivities last until the Lantern Festival, which is on the 15th day of the first calendar month of the New Year. The Lantern Festival in the Chinese New Year 2018 will happen on Friday, March 2. The Chinese New Year is the longest holiday in the Chinese calendar. What is the Chinese New Year 2018 animal? 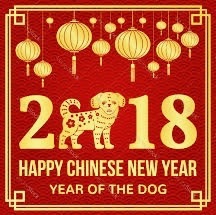 The Chinese New Year of the Dog is the 11th animal in the cycle. The recent Dog years are: 1934, 1946, 1958, 1970, 1982, 1994, 2006, 2018. People born in the year of the Dog are meant to be true, honest, loyal and reliable. Like in Western cultures, the Chinese also have 12 Zodiac signs, but rather than being for each month of the year, the Chinese Zodiacs represent each year in a 12-year cycle. The Chinese animal zodiacs are: Rat, Ox, Tiger, Rabbit, Dragon, Snake, Horse, Goat, Monkey, Rooster, Dog, Pig. According to the myth, a Jade emperor decided that animals would be incorporated into the calendar and the first 12 who arrived at the palace would be chosen.